Dealing with a hard money broker can be a good way to overcome temporary financial difficulties. Before you start working with a hard money broker, you need to make sure that you get certain information from them. Here are a few questions that you might want to ask a hard money broker before signing up for a loan. One of the first things that you should ask a hard money broker is what their level of experience in the industry is. While you are most likely not very experienced with hard money loans, you want to work with a broker that is. You might want to find out what types of loans they have done in the past and who some of their clients are. While they may not be able to give specific names, they should be able to tell you what types of borrowers they have helped. This can help you decide whether or not this type of loan is right for you. Another important factor that you will want to talk about in advance is the interest rate that they will charge. Hard money lenders are notorious for charging extremely high interest rates to their clients. Hard money lenders know that they are usually the last resort for many borrowers. Therefore, they feel like they can charge whatever they want and get away with it. 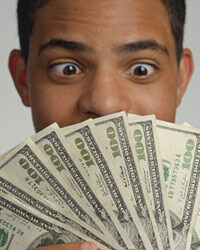 As a borrower, you should understand that these rates are often negotiable. Most of these lenders are acting individually and choose their interest rates depending on how much money they want to make on a particular loan. This means that if you are willing to negotiate with them, you might be able to secure a better rate for yourself. This can make the process of dealing with a hard money lender much more easy to bear. 3. What Are the Terms? Besides the interest rate, the terms of the loan are another very important part of the process. Hard money loans are not set up in the manner the traditional loans are. Many hard money loans will have a series of interest only payments followed by a large balloon payment. Before you decide to go through with the loan, you need to make sure that you understand the terms of the agreement. Many people sign up for hard money loans because it is the only way that they can get money. They often sign up without fully understanding how the loan will work and what is expected of them. You can avoid these problems by paying attention to the specific terms of the loan. 4. How Soon Will I Have the Money? You will also want to know exactly how soon you can get the money. Most hard money lenders work on their own schedule and therefore, the time frame to get your money can vary from one lender to the next. Ask them this simple question to help avoid any confusion.